A great trophy in a unique pose! 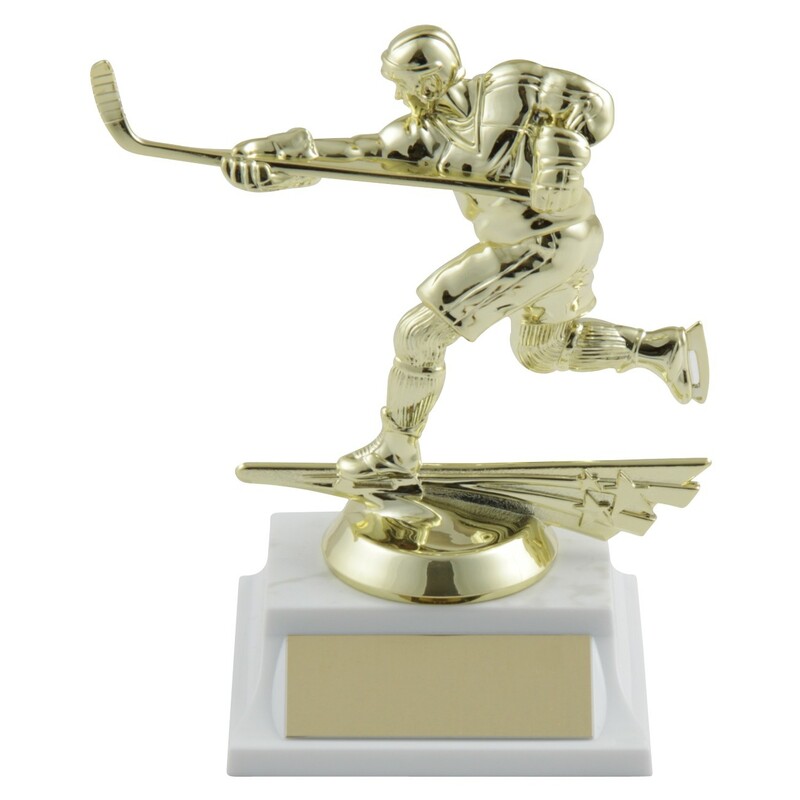 This trophy features a gold-tone all-star hockey figure in an offensive position skating on stars atop your choice of base. The inexpensive All Star Hockey Trophy is a great trophy for team achievement and participation awards!